Looking to make your proposal pop? Here's a guide to changing the colour of the text in your proposal. You're using one of our templates and your proposal looks great, but the colours don't exactly match your brand. Don't worry. 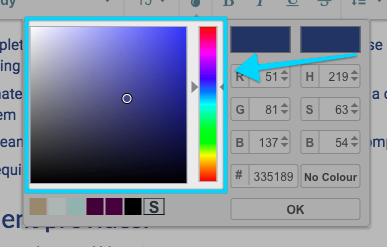 Proposify makes it easy for you to update the colours of your elements, so you can make any proposal yours. When changing the colour of your text, the first step is to ask what you want to change: a specific piece of text, or an entire font style? If you're only looking to change a specific bit of text to a different colour (like making warning text red, for example), the top toolbar is your tool of choice. 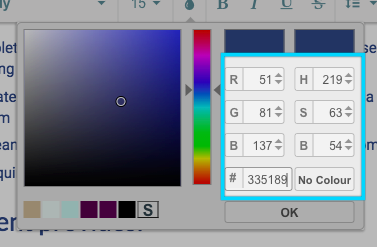 Once you've selected your colour, click the "ok" button and your text will change to your chosen colour, over-riding the default font colour set in Type Styles. 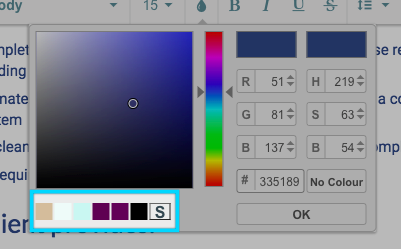 Once you've selected your colour, click the "ok" button. 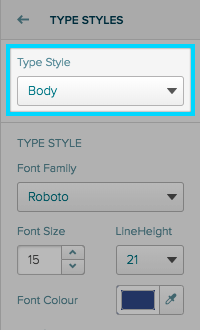 Now, all the text set in this font style will change to your chosen colour. 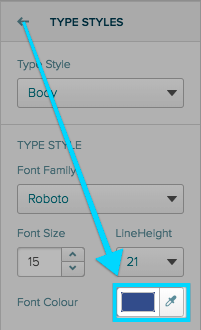 Then, convert that text to the font style you'd like once again. This will remove all manual colour changes and revert to the default style.